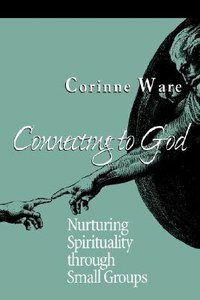 - Publisher Although spiritual growth occurs within an individual, Ware explains that it is the calling of the congregation to be a community of support and encouragement. Indeed, it is amidst the support of a group that an individual learns how to live out personal faith. Ware provides a very practical and accessible model of spiritual formation for self-directing groups that can be led by clergy or laity. Includes thorough guidelines, do's and don'ts, and ground rules for the successful pursuit of spiritual growth in small groups. Although spiritual growth occurs within an individual, Ware explains that it is the calling of the congregation to be a community of support and encouragement. Indeed, it is amidst the support of a group that an individual learns how to live out personal faith. Ware provides a very practical and accessible model of spiritual formation for self-directing groups that can be led by clergy or laity. Includes thorough guidelines, do's and don'ts, and ground rules for the successful pursuit of spiritual growth in small groups. Dr. Corrine Ware is Assistant Professor of Ascetical Theology at Episcopal Seminary of the Southwest in Austin, Texas, and serves as Director of the Masters of Arts in Pastoral Ministry. Her prior published work includes Discover Your Spiritual Type and Connecting to God, both published by Alban Institute.